On a Wednesday evening in Manhattan, New York, a dimly lit Soho movie theatre had suddenly become a temporary sacred space for I and fifty something other nostalgic adults. The soft-spoken man by the name of Fred Rogers or “Mister Rogers” as he is best known from the celebrated PBS syndication Mister Rogers’ Neighbourhood seemed to command the room that night. It was a screening for Will You Be My Neighbor? a documentary film that traced Fred Rogers’ life and career. For those brief yet slow ninety minutes, we seemed to be reminded of our raison d’etre in this world, whatever that centrepiece was and meant for each of us. For those brief yet slow ninety minutes, we seemed to be reminded of our raison d’etre in this world, whatever that centrepiece was and meant for each of us. I spotted a viewer sitting a row before me surreptitiously wipe away tears from her eyes. I myself began to feel tears dripping down my eyes and my stomach instantly engulfed with a weighty feeling. It was an unusual act of vulnerability we were currently experiencing in New York. This was a city where a single sign of weakness could mean being eaten up whole without a thought. As scenes of Daniel Tiger singing about his fear of being a mistake, King Friday demanding for his castle walls to be put down, and Mister Rogers assuring us at the end of each episode, “You’ve made this day a special day, by just your being you” replayed on the screen and in our memory logs, we retreated back to a time of unguarded adolescence. Beyond the separation of our selves and of the screen, there was a feeling of spiritual kinship with this man who called us each his neighbors. How do you bring up the process and justification of a memory you cannot describe but can certainly feel? In my clear memory was the daily ritual of coming home from school and turning on the television to Mister Rogers’ Neighborhood. 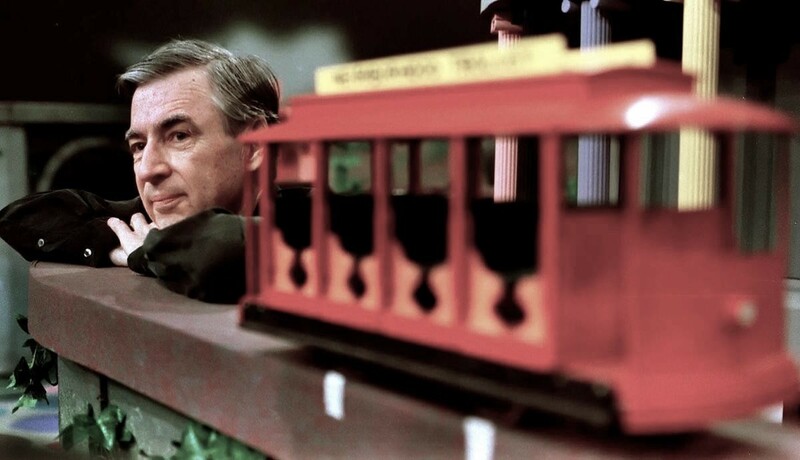 Yet if you were to ask me to recount the specific contents of each episode, I would not be able to sketch out more than mere externalities — Mister Rogers’ egregious face, the red cable car that traveled from Mister Rogers’ House to the Land of Make Believe, the look and sound of various puppets in the imaginary town. Nevertheless, I could, at this moment, certainly feel the immensity of profundity that this man offered us. There was a rawness, a transmittance of communality, and of vulnerability that could crack any adult. 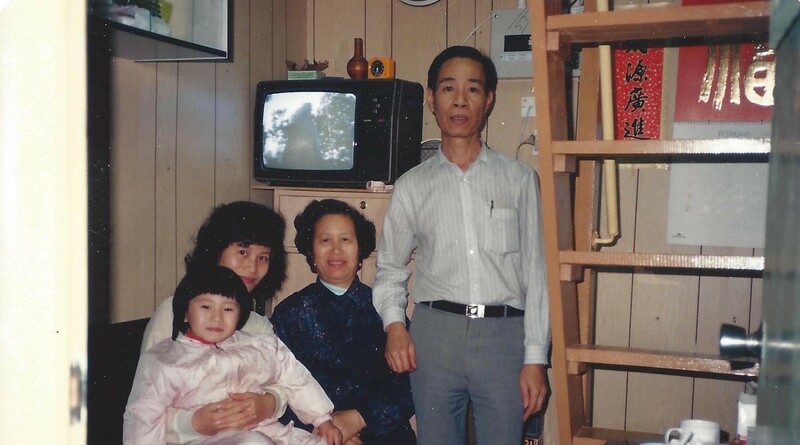 Recently, I had been thinking about my family, notably my grandfather (Ye Ye) who passed away twelve years ago, when I was only ten years of age. From amongst the stacks of albums stored in the corner of my parents’ TV drawers, I flipped through one photograph after another, most of which were taken when I was between the ages of a few months old to around ten years. Save for a few photographs of my disastrous fourth birthday party, none of these photographs sparked in me any recollection. Even the ones where I was with Ye Ye: zero recollection. Going through these photographs was like an out-of-body feeling of alienation, as if in these photographs was a doppelgänger of myself performing a series of vignettes with my family members. Grandpa was definitely real in these. But was that really me in the same picture? Had I really lived through that moment in time? Why did these photos not compel me to tear up as Mister Rogers did? In the attempt of remembering through the photographs of my Ye Ye, I had failed to release the same bona fide emotions that Mister Rogers was able to disclose of in me. What was to be the root cause of my gross impassivity towards my blood-bound relations? In the attempt of remembering through the photographs of my Ye Ye, I had failed to release the same bona fide emotions that Mister Rogers was able to disclose of in me. It was an odd revelation to feel more emotionally invested in (and affected by) Mr. Rogers’ made-up neighborhood than the past photographs of my own family, both of which are both commonly seen as nostalgic paraphernalia. In these times of bewilderment, when I have no logical reasoning to describe this feeling of alienation, I would often resort to playing the second-gen card: as the American daughter of immigrants stuck between living in two cultures. It was easy to ascribe my filial negligence to the modern effects of adversity in my Asian-American identity. It is with time and with one’s realization of the deterioration of one’s own memory, that one finds a value in the act of preservation. But perhaps time was really the culprit. It is with time and with one’s realization of the deterioriation of one’s own memory, that one finds a value in the act of preservation. I had not realised this till my college years. 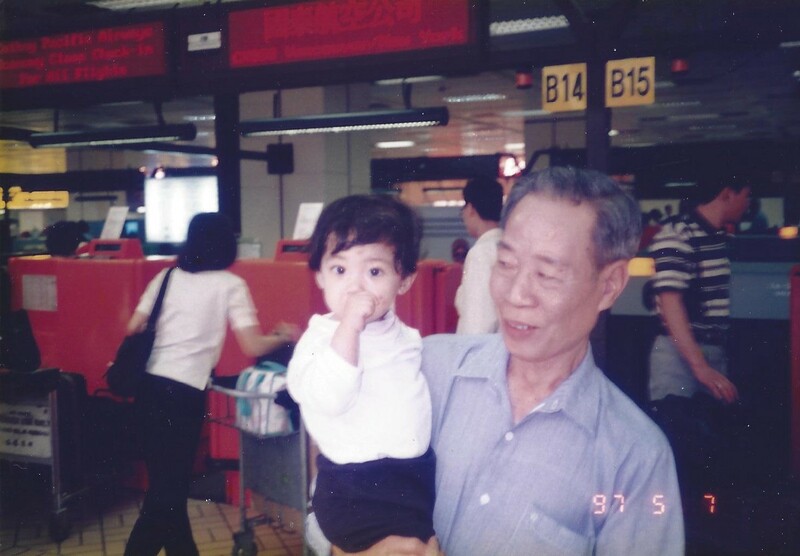 Time had estranged the bond between my grandfather and me. These days, I find myself picking up the lost scraps of memory, the ones I had failed to tend to while growing up.